Don’t let raw tap water ruin your home. Enjoy clean water through every tap! An anti-scalent system to prolong the life of your appliances and offers protection by removing chlorine from your showers, bath and drinking water. Our revolutionary Australian product will be your new best friend, by keeping your family healthy, appliances clean, your shower recess sparkling and your garden will be more lush than ever. Our 100% Australian Company which has been helping people across Australia solve water problems for the past 20 years has launched a revolutionary household product. GreatWater’s Whole of House with Descalent is designed to combat the effects of scale build up from town water on your health, house hold appliances and in the garden. Great Water Filters is constantly seeking improvements in our water systems to utilize the latest in filtration technology. Shielding your unit from the elements. Know what water pressure you have coming in to your home. 100% guaranteed purity. 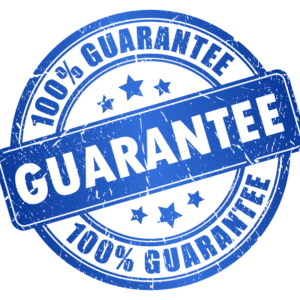 Our products are Watermark certified and guaranteed to ensure they are fit for purpose and use in plumbing and drainage installations. How does it Compare with other Filters? WHAT ROLE DO MINERALS PLAY IN OUR BODY? Stay energised; responsible for enzyme-activated biochemical reactions in the body; Regulates blood pressure; heart rate & blood sugar levels; maintaining nerve function and keeping muscles relaxed. Critical "calming" mineral, potent in its ability to alleviate stress. All Great Water products come with a 1-Year exclusive guarantee. For a limited time we will include our 10 Year VIP Super Saver and Support package for FREE! Have total piece of mind to keep your filter at its best for the next 10 years.